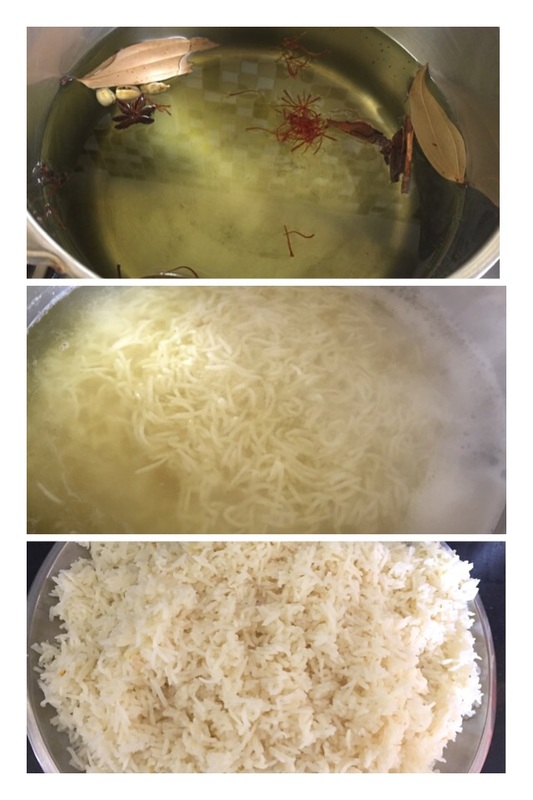 Wash and soak basmati rice for 15-20 mins. Drain and keep it aside. Heat lots of water in a pan. Add the whole garam masalas mentioned and the saffron. When the water starts boiling vigorously, add 1/2 tsp of salt and the drained rice. Let it cook for few mins. The rice should be only half cooked. (When you press the grain, it should break). Drain the rice and wash it in running water to stop further cooking. Drain it completely again. 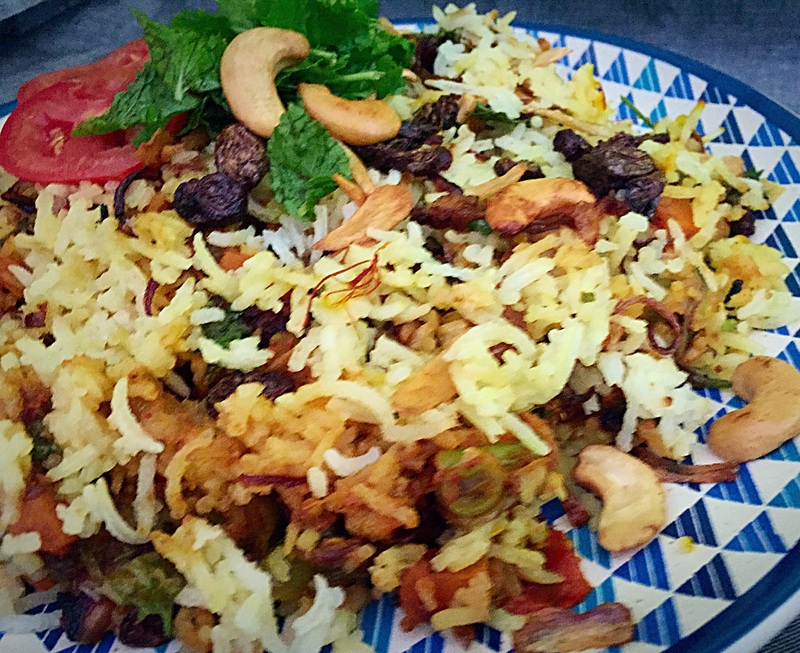 Spread the rice on a tray and remove all the whole garam masalas. 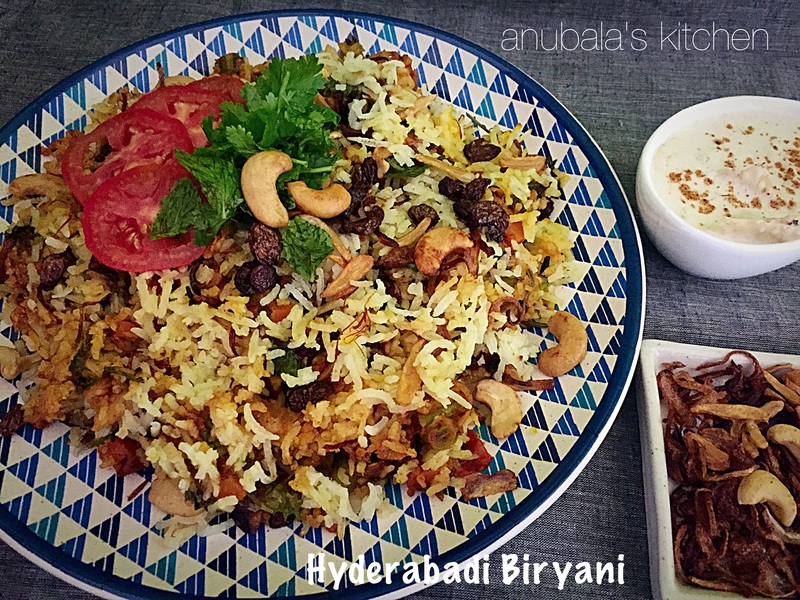 Dry roast the ingredients mentioned for biryani masala. Cool and grind to a powder. Keep it aside. 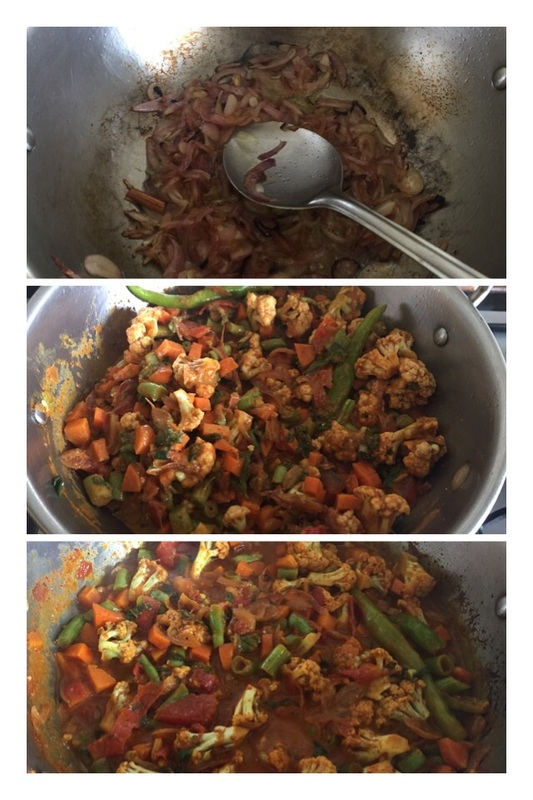 Add the cauliflower, beans and carrot in a big bowl and all the other ingredients mentioned for the marinade. Add the saffron milk and mix well. Check for the seasonings. Let it marinate for an hour. Heat ghee in a pan. Add the sliced onions and sauté till it starts browning. Add sugar, cardamom and cloves and continue to sauté for few mins. Add the chopped tomatoes and sauté till the tomatoes turn soft. Now add the marinated vegetables and mix well. Check for the seasonings again. Cover the pan and cook till the vegetables are half cooked. Add the biryani masala powder and sauté for few seconds. Take it off the gas. Soak saffron in milk for some time. Take a broad based heavy bottom pan. 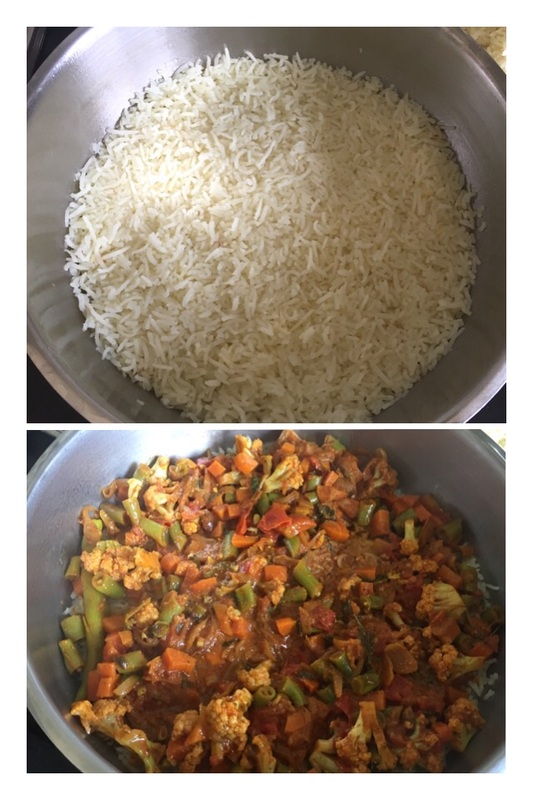 Add some rice and spread well. Press the rice gently to pack it well. This will be the first layer. Now spread some vegetables evenly. 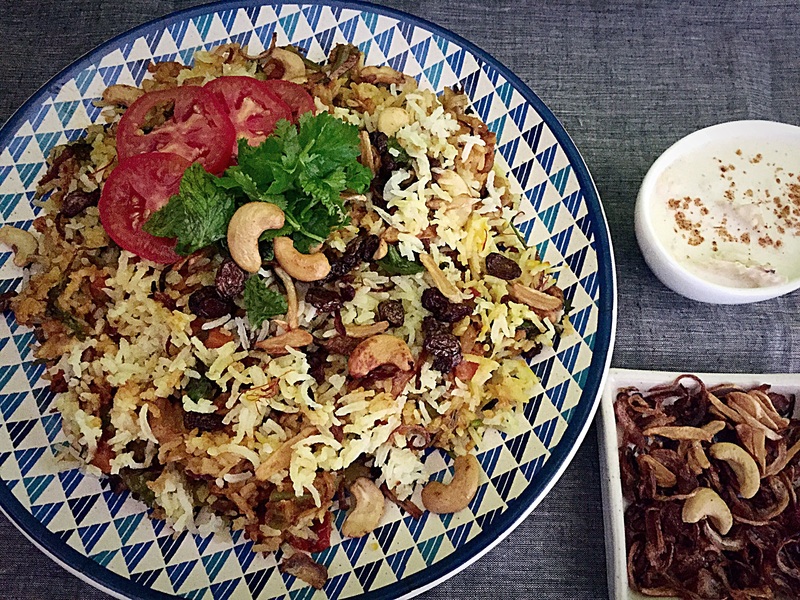 Top it some fried onions, ghee, chopped coriander leaves and saffron milk. This will be the second layer. Now repeat the layers once again. 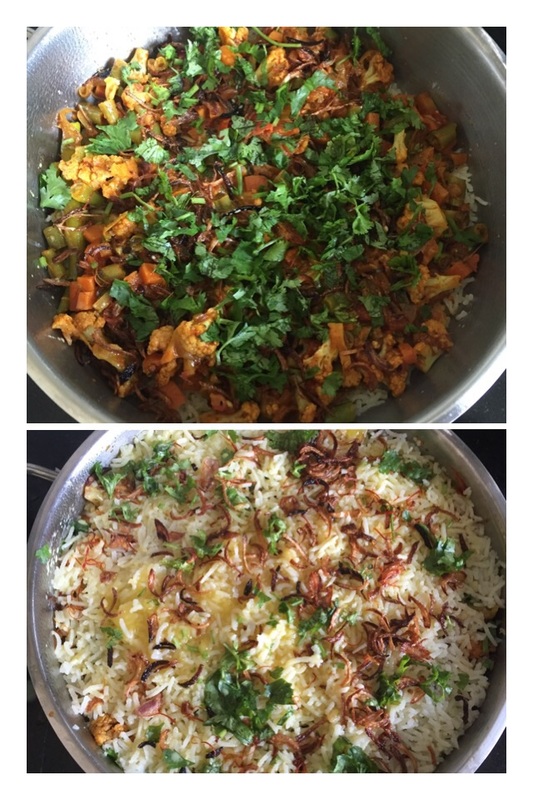 The final layer will be rice topped with fried onions, ghee, chopped coriander leaves and the remaining saffron milk. Press gently and pack it well. 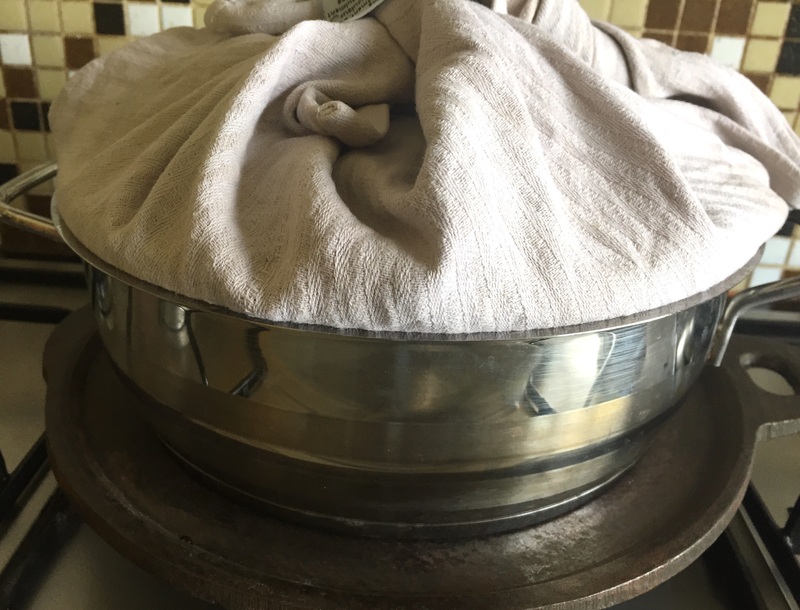 Wrap the lid with a clean kitchen towel and close the pan tightly. Heat a heavy iron tawa ( girdle). Reduce the the flame and place the pan on the iron tawa and let it cook for 25-30 mins. After 30 mins, take it off the gas and let it rest for few mins.